A March 12 Politico article bizarrely attempted to scandalize 2020 presidential candidate Sen. Elizabeth Warren (D-MA) accepting individual campaign contributions from employees of Amazon, Google, and Facebook, suggesting was hypocritical for her to accept the donations while criticizing tech companies. The article, headlined “Warren took tech's money while ripping its biggest players,” clearly points out that the $90,000 in donations came “from employees of Amazon, Google and Facebook” over the course of seven years, but the headline’s sloppy and simple reference to “tech’s money” leaves the impression that the donations come from the corporations themselves -- not individuals they happen to employ. The article's lede: "While Sen. Elizabeth Warren was railing against big tech companies, she was taking their money — plenty of it." Politico went on to criticize Warren for running ads on Facebook and selling books on Amazon, saying, "At the same time, Warren hasn’t weaned herself off of tech employee money — or their services." The article failed to actually explain its argument for why it would be an issue that, "While the donations flowed to Warren’s committee, she was accusing Google, Amazon as well as Apple of using their powerful platforms to 'lock out smaller guys and newer guys,'" beyond a vague and unarticulated intimation of hypocrisy. This careless framing by Politico closely resembles the bad-faith accusations of hypocrisy that crop up in right-wing media. Saying that Warren takes “tech’s money while ripping its biggest players” only sounds hypocritical with the omission of critical context -- it’s not really “tech’s money,” it’s tech employees’ money. While the article fails to really make its case, it's the headline that is most at issue. As Media Matters’ Parker Molloy has explained, headlines are arguably the most important part of any news article because most people only read the headlines. A 2016 study estimated that 59 percent of the time someone retweets an article, they actually never clicked on it first. Molloy spoke to Upworthy co-founder Eli Pariser, who said that “the headline [of an online news article] lives separately from the content and needs to be evaluated on its own” for truth and accuracy. Politico’s Elizabeth Warren article failed that test. On June 14, a federal judge revoked Manafort's bail for allegedly tampering with witnesses, landing him in federal prison until his trial. President Donald Trump’s favorite Fox News shows are all but ignoring the cascade of damning reports regarding former Trump campaign manager Paul Manafort and his legal troubles. Since May 2017, special counsel Robert Mueller has been scrutinizing various relationships between the Trump campaign and Russian nationals closely tied to Russian President Vladimir Putin, appearing to focus closely on Manafort’s business history and associates. As the legal pressure ramps up against Manafort, the president’s propagandists at Fox News have sought to distance Manafort from Trump and, through selective reporting on Manafort’s legal troubles, discredit the probe against Trump’s former campaign manager. Since the beginning of 2018, Manafort’s legal exposure has grabbed mainstream media attention, but the topic has not managed to break through on Trump’s favorite Fox News programs. Media Matters reviewed transcripts and video of the first editions of Fox & Friends, Hannity, and Justice with Judge Jeanine after significant reports surfaced about new developments regarding the investigations into Manafort this year. We found little to no coverage of notable turns in the multiple high-profile legal cases against Trump’s former campaign manager. But we did find extensive coverage of the strong words a judge had for the special counsel’s team. On January 3, NPR reported that Manafort was suing the Department of Justice, alleging that “Mueller's team has ‘diverged’ from its stated focus on potential collusion with the Russians who attacked the 2016 election and instead zeroed in on Manafort for ‘unrelated, decade-old business dealings’ in Ukraine.” According to a Media Matters review, Fox & Friends, Hannity, and Justice with Judge Jeanine did not cover the development. On January 10, according to NBC News, “a company controlled and funded by” Russian billionaire Oleg Deripaska, a crony of Russian President Vladimir Putin and one-time business associate of Manafort’s, sued Manafort and his business associate Rick Gates for allegedly “bilk[ing] his company by taking $1.1 million in capital and paying it to themselves.” According to a Media Matters review, Fox & Friends, Hannity, and Justice with Judge Jeanine did not cover the lawsuit. On April 3, according to CNN, Alex van der Zwaan, a “Dutch lawyer tied to former Trump deputy campaign chairman Rick Gates,” was “sentenced … to spend 30 days in prison and pay a $20,000 fine after he admitted to lying to” the special counsel regarding his “communications with Gates and a person with Russian intelligence ties.” According to a Media Matters review, Hannity briefly mentioned the sentencing, downplaying it as having “nothing to do with Russia collusion,” and saying, “In reality, it looks like a giant waste of your money.” Justice with Judge Jeanine did not cover the sentencing, which was the first in the special counsel’s investigation. Fox & Friends twice mentioned the development in passing while attempting to downplay its significance, once saying the sentencing is “unrelated” to Trump and Russia. On April 5, CBS News reported that prosecutors on the special counsel’s team “revealed in court filings ... that they had obtained on March 9 seven new search warrants against former Trump campaign chairman Paul Manafort” for “various properties” including “a storage unit, bank accounts, email addresses and devices.” According to a Media Matters review, Fox & Friends, Hannity, and Justice with Judge Jeanine did not cover the report. On May 15, according to Politico, a federal judge “rejected an attempt by Paul Manafort … to get an indictment against him dismissed by claiming that special counsel Robert Mueller’s appointment was flawed.” The judge wrote that “given the combination of his prominence within the campaign and his ties to Ukrainian officials supported by and operating out of Russia, as well as to Russian oligarchs, Manafort was an obvious person of interest” for U.S. law enforcement. According to a Media Matters review, Fox & Friends, Hannity, and Justice with Judge Jeanine did not cover the judge’s decision. On May 17, Reuters reported that Manafort’s former son-in-law and “business partner” Jeffrey Yohai “cut a plea deal with the Justice Department” requiring him “to cooperate” with the special counsel’s prosecutors. According to a Media Matters review, Fox & Friends, Hannity, and Justice with Judge Jeanine did not cover the report. On June 4, according to The New York Times, “federal prosecutors ... accused President Trump’s former campaign chairman, Paul Manafort, of attempting to tamper with witnesses in his federal tax and money laundering case,” with one witness telling the FBI “that Mr. Manafort was trying to ‘suborn perjury.’” Yet again, according to a Media Matters review, Fox & Friends, Hannity, and Justice with Judge Jeanine did not cover the court filing, even though the charges leveled against Trump’s former campaign manager can mean up to 20 years in federal prison if he is found guilty. On June 8, according to NPR, the special counsel’s office “unsealed more charges” against Manafort, alleging “that a Russian partner of Manafort's, Konstantin Kilimnik, helped him try to persuade witnesses to lie to the jury when Manafort's case comes to trial in Washington, D.C., this autumn.” According to a Media Matters review, Fox & Friends, Hannity, and Justice with Judge Jeanine did not cover the additional round of charges against the president’s former campaign manager. On May 4, according to The Washington Post, “a federal judge in Virginia ... sharply questioned the motivations of special counsel Robert S. Mueller III’s fraud prosecution of President Trump’s former campaign manager.” According to the report, Judge T.S. Ellis III told prosecutors on Mueller’s team, “You don’t really care about Mr. Manafort’s bank fraud. … You really care about getting information Mr. Manafort can give you that would reflect on Mr. Trump and lead to his prosecution or impeachment.” According to a Media Matters review, Fox & Friends, Hannity, and Justice with Judge Jeanine all covered the judge’s rebuke of the Mueller team extensively. On the May 4 edition of Hannity, host Sean Hannity spent a total of 14 minutes and 46 seconds discussing Judge Ellis’ comments, calling his remarks the “single biggest beatdown I have ever seen in my life by a judge.” The nearly 15 minutes Hannity devoted to Ellis’ comments were significantly more than the time he spent covering any development in the various cases against Manafort in 2018 combined, which totaled about 1 minute and 57 seconds. On the May 5 edition of Justice with Judge Jeanine, host Jeanine Pirro spent a total of 15 minutes and 27 seconds discussing Judge Ellis’ remarks. In contrast, Pirro did not mention any of the other stories regarding Manafort's legal troubles in 2018. Given Manafort’s past and the people he has been willing to associate with professionally, it is no wonder Fox News’ chief Trump propagandists have attempted to distance the president from him. 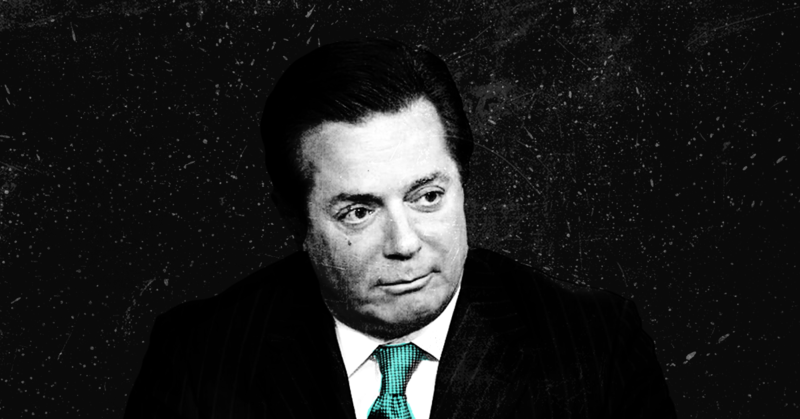 According to The Atlantic’s Franklin Foer, Manafort’s career was built on lobbying on behalf of “dictatorial governments in Nigeria, Kenya, Zaire, Equatorial Guinea, Saudi Arabia, and Somalia, among others.” Manafort’s experience representing repressive regimes eventually landed him a job in Ukraine, assisting the “former gangsters,” as Foer wrote, in the Party of Regions in improving their image domestically, eventually guiding pro-Russian Viktor Yanukovych to presidential victory in 2010. Fox News’ efforts to bury Manafort’s legal exposure seem to be having an impact. According to a recent survey conducted by Navigator Research, 59 percent of Americans are not aware that the special counsel’s investigation has uncovered any crimes, even though Mueller has amassed five guilty pleas and numerous indictments. Should the special counsel’s investigation turn up evidence that supports allegations of a criminal conspiracy between members of the Trump campaign and foreign actors, Manafort would surely be implicated as a key player. Suppressing reports regarding (arguably) the most corrupt member of Trump’s campaign team -- and following Fox’s usual playbook of downplaying and ignoring other consequential reporting on the special counsel’s investigation -- appears to be part of the network’s larger strategy to pre-emptively downplay any possible findings that could implicate the president and his campaign. President Donald Trump and his Republican congressional allies are enjoying a round of praise from media commentators for finally getting a legislative “win” on the board as their tax bill closes in on passage before the end of the year. The budget-busting corporate giveaway will enrich the superwealthy and do little for Americans who have to work for a living. Republicans finally unveiled the finished version of their tax legislation last Friday evening, and -- despite the public having just days to absorb its 1,097 pages -- both chambers of Congress plan to vote on the bill before the end of the week. If everything goes according to plan, the president will sign the bill into law just in time for members to head home for the holidays. After a year plagued by self-destructive outbursts, failed policy changes, unprecedented legal troubles, embarrassing scandals, humiliating legislative defeats, and nationwide political upheaval, many in the press are framing the GOP tax proposal as a crucial “win” for Trump and his party. In a December 15 video, Eric Schoenberg of the activist group Patriotic Millionaires explained how the GOP tax bill overwhelming favors wealthy people like him (and the Trump family) while doing little for lower- and middle-class people. Trump and the Republicans continue falsely claiming that the bill will spur business development, boost wages, and stoke renewed economic growth, but the message is such a fantasy even Fox News had to admit there was nothing to it. Previous studies from the Congressional Research Service and the Brookings Institution have demonstrated little relationship between tax cuts for the wealthy and invigorated economic activity, which Trump and the GOP have promised will result from this tax bill. The bill permanently cuts taxes for corporations while giving only modest, temporary relief for working people. It loosens tax structures affecting the wealthiest Americans while threatening funds for Medicare, Social Security, Medicaid, and other initiatives that guarantee basic economic security to low-income families. The bill promises to add another $1.5 trillion to federal budget deficits over the next decade despite years of hysteria about Obama-era revenue shortfalls. The bill also senselessly repeals the Affordable Care Act’s individual mandate, which will likely result in millions of Americans dropping out of the insurance market. 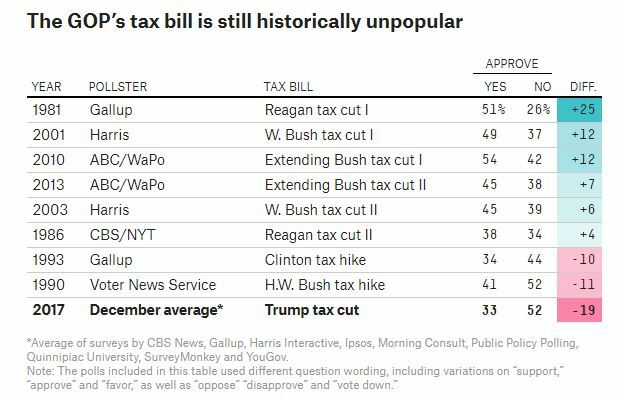 Rather than praising the Republican Party for ending a remarkably unproductive year by managing to cobble together a tax giveaway to the super rich, journalists should report on what is actually in the bill. Trump and the GOP have definitely enjoyed some "wins" this year, but reporters need to point out that the Republican Party's successes have often resulted in pain and suffering for millions of Americans. Former George W. Bush speechwriter William McGurn wrote a column for The Wall Street Journal arguing that if Moore does win despite reports of child molestation and sexual assault, a large chunk of the blame will belong to “the liberals who are enabling him,” a group that includes “the national press corps.” Matt Latimer, another former Bush speechwriter, wrote a Politico op-ed arguing that “the real reason” Moore remains politically viable is “that the media has totally lost its connection with a large portion of the nation, almost all of them conservatives.” Over at The Federalist, Bethany Mandel argues that “it’s media’s fault” that a large majority of Alabama Republican voters don’t believe the Washington Post’s stories on Moore’s reported misconduct. This argument isn’t especially surprising given that one of the pillars of modern conservatism is reflexive animosity toward “the liberal media.” The popularity of outlets like Fox News and Breitbart.com stems directly from a concerted, decades-long effort across the entire conservative movement to render “mainstream” sources of news suspicious and inherently untrustworthy. But claiming that “the media” are to blame for Republicans backing Moore is a deflection that accomplishes little beyond confirming the biases of the writers while backhandedly affirming Moore’s claims that he’s under persecution by the press. Writers like McGurn, Latimer, and Mandel are in a difficult spot because while they clearly believe the Post’s reporting and think it stands up (none make any attempt to rebut it or suggest that the case against Moore isn’t a solid one) their party’s voters are flatly disregarding those reports and are poised to elect Moore to the Senate (71 percent of likely Republicans voters in Alabama say the claims about him are false). They try to square that uncomfortable circle by cherry-picking other unrelated media failures -- like ABC News reporter Brian Ross’ botched story on former national security adviser Michael Flynn’s plea deal with federal prosecutors -- to exculpate conservative voters who refuse to believe the Post. Well, no, actually, but not for the reasons Mandel and McGurn offer. They’re attacking the media for not being credible enough to people who’ve been told for decades on end that the media aren’t credible. So it’s not surprising that Alabama voters distrust the media. But the fact that they refuse to see the truth that’s staring them in the face is less an indictment of the media than the toxicity of a conservative political culture that teaches voters to disbelieve all news they don’t want to hear and seek information only from outlets that reaffirm their existing viewpoints. 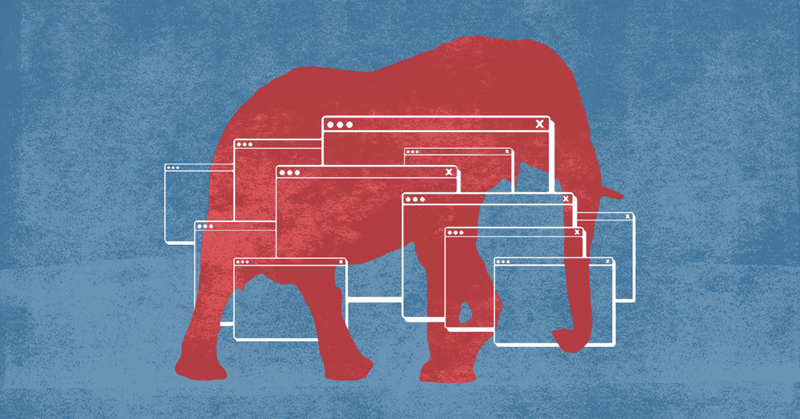 Conservative media outlets Republican voters prefer over the “mainstream media” have embarked on a dishonest campaign of distraction and obfuscation to discredit the Post’s reporting and bolster Moore. 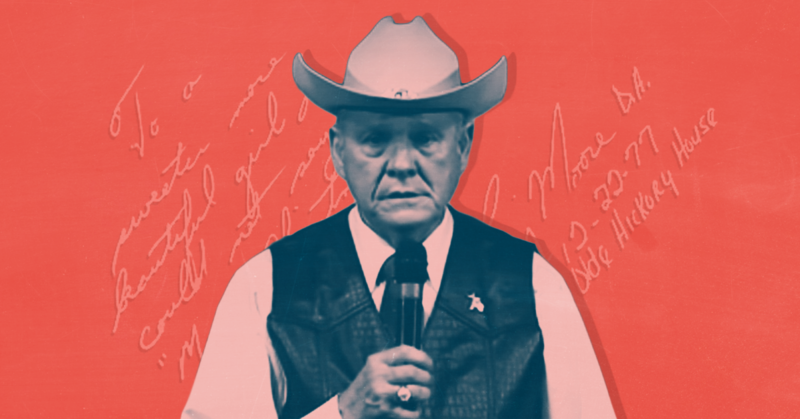 Breitbart.com sent reporters down to Birmingham to (unsuccessfully) undermine the Post, but their failed efforts still resulted in splash-page “EXCLUSIVE” articles suggesting that Roy Moore had been the victim of a smear. Some Fox News figures lined up behind Moore and against the Post as they dutifully parroted the Moore campaign’s absurd attempts at discrediting the candidate’s accusers. Just hours after the Post's first Moore article was published, Fox News legal analyst Gregg Jarrett told Hannity viewers, "I am suspicious of this because of the source, The Washington Post, which has a dog in this fight having endorsed his opponent." This isn’t merely a question of conservative voters thinking “the media” in general are untrustworthy -- they’re being specifically told by right-wing media that the Post’s story is false and that Moore is being unjustly attacked. So even in a situation where a media outlet meets the standard of accuracy and trustworthiness conservative pundits claim has been irretrievably lost, it still comes under assault from the right-wing press in a flagrantly dishonest attempt to discredit it. In Politico Magazine, analyst Jeff Greenfield explains "The Ugly History of Stephen Miller's 'Cosmopolitan' Epithet"
In Politico Magazine political analyst Jeff Greenfield explained how President Donald Trump’s senior policy advisor Stephen Miller’s invocation of the word “cosmopolitan” in a White House press briefing to attack a reporter connected him to a long history of the term being weaponized by “anti-Democratic political movements,” often with clear anti-Semitic undertones. What makes this history relevant is that, all across Europe, nationalist political figures are still making the same kinds of arguments—usually but not always stripped of blatant anti-Semitism—to constrict the flow of ideas and the boundaries of free political expression. Russian President Vladimir Putin, for example, has more and more embraced this idea that unpatriotic forces threaten the nation. Right-wing media figures are claiming that House Intelligence Committee chairman Rep. Devin Nunes’ (R-CA) statement that President Donald Trump’s transition aides were surveilled “vindicates” Trump and prove he “was right” about his unfounded claim that former President Barack Obama wiretapped Trump Tower. But Nunes’ report -- that Trump aides were caught in “incidental collection” while surveilling other targets -- was already widely suspected, and Nunes himself admitted it does not prove Trump’s false claim is correct. Multiple current and former government officials have said Trump’s claim is false. Independent Journal Review (IJR) chief content officer Benny Johnson and two other IJR employees were indefinitely suspended after writing and publishing a baseless conspiracy theory -- originally pushed by “alt-right” fringe media -- which suggested that former President Barack Obama’s visit to Hawaii played a role in a ruling by a federal judge based there that froze President Donald Trump’s revised Muslim ban. On March 16, under Johnson’s direction, IJR published, then retracted, an article that attempted to “point out the timing and the opportunity” presented by Obama’s presence in Hawaii days before the judge’s ruling. The conspiracy theory was originally pushed by fringe and “alt-right” outlets such as Infowars and The Gateway Pundit, and it seemed to originate from a thread on the online anonymous message board Reddit. 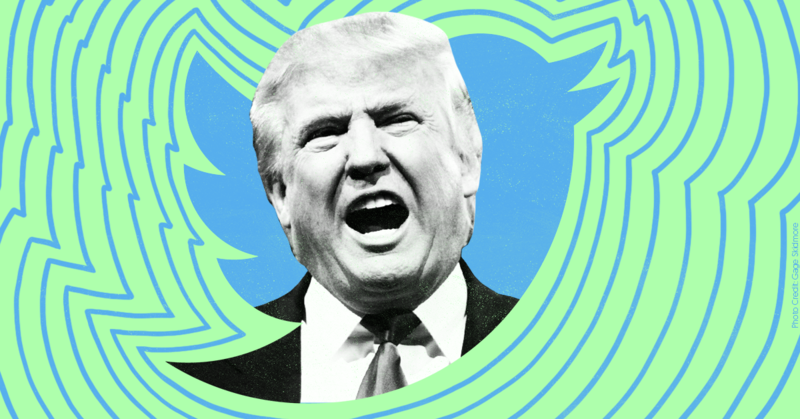 The outlandish theory even made its way to Donald Trump Jr., who retweeted a Twitter post that tied the judge to Obama. This is the second recent occasion in which a right-wing media figure has been disciplined for spreading unsubstantiated allegations and conspiracy theories about Obama. IJR’s actions came a day after reports emerged that Fox News’ Andrew Napolitano was being taken off the air “indefinitely” for promoting the false claim that Obama used the British government to spy on Trump. BuzzFeed News is reporting that a political adviser to Vice President Mike Pence is also a “major investor” in the conservative media outlet the Independent Journal Review (IJR), which has gained exclusive access to the administration as the only media outlet allowed to travel with Secretary of State Rex Tillerson on his trip to Asia. McPike has been with IJR for only a few weeks and doesn’t even cover the State Department: She’s its White House reporter and is often in the briefings. McPike won’t be acting as a pool reporter for the rest of the diplomatic press corps, meaning she won’t be sharing information about the trip with other reporters, which is what would normally happen if there were limited space for reporters and only a few were chosen. Nick Ayers, Pence’s top strategist outside of the White House, confirmed to BuzzFeed News that he owns part of IJR. He is also playing a major role in America First Priorities, a political group launched by Trump campaign advisers to trumpet the president’s message. He joined Trump’s campaign when Pence was tapped as the vice presidential nominee and later acted as a senior advisor for the vice president-elect during the transition. Ayers previously worked as a political consultant and as campaign manager for former Minnesota Gov. Tim Pawlenty’s presidential bid in 2012. There’s no indication that Ayers was involved in this week’s controversial State Department decision to grant the sole press spot on Secretary of State Rex Tillerson’s trip to Asia to IJR’s White House correspondent. The move, a break from tradition, has enraged the State Department press corps as Tillerson makes big diplomatic news without a traditional pooler tagging along. Ayers’ investment in IJR is another example of close ties between Trump’s orbit and a favored media outlet. Steve Bannon, the president’s top strategist, ran Breitbart News for years and has brought with him to the administration a handful of ex-Breitbart staffers. The company has said that it no longer has financial and editorial ties to Bannon. Trump’s son-in-law and senior adviser Jared Kushner transferred his ownership of The New York Observer to a family trust. There’s no sign that Ayers has had any editorial involvement with his investment, and a person involved in the company noted that IJR notably didn’t benefit from insider leaks during the campaign.